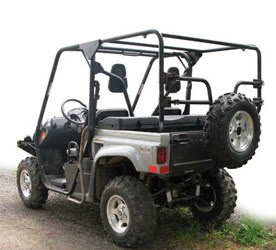 It all begins with a Rhino canopy frame. 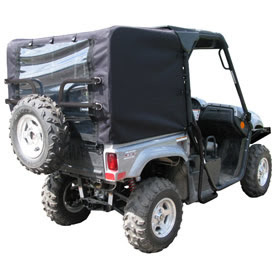 Add a cover with clear windows to keep your cargo dry and out of sight. 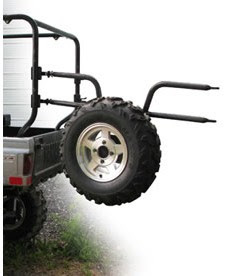 Add a spare tire gate to hang a spare tire saving valuable space in the rear box. Also known as an SSV or Side by Side, the Rhino is popular for carting a couple of people and their tools. Rhino's travel to remote or less truck friendly places, a real utility vehicle. We carry genuine Yamaha parts and accessories for a variety of powersports machines such as Motorcycles, ATVs, Rhinos, Snowmobiles, Snowblowers, Generators. View our microfiche for Yamaha Rhino parts.